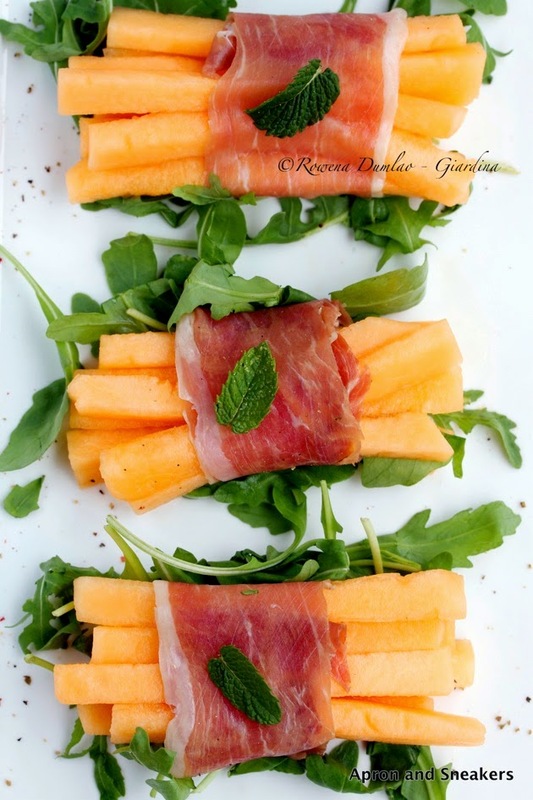 Because this is a plate that I absolutely love, when I see melons, I imagine them wrapped in prosciutto on my plate. I can live with this all summer. It's refreshing, sweet & salty at the same time. It was one of the first plates that I tried in Italy and immediately became a hit with my palate. 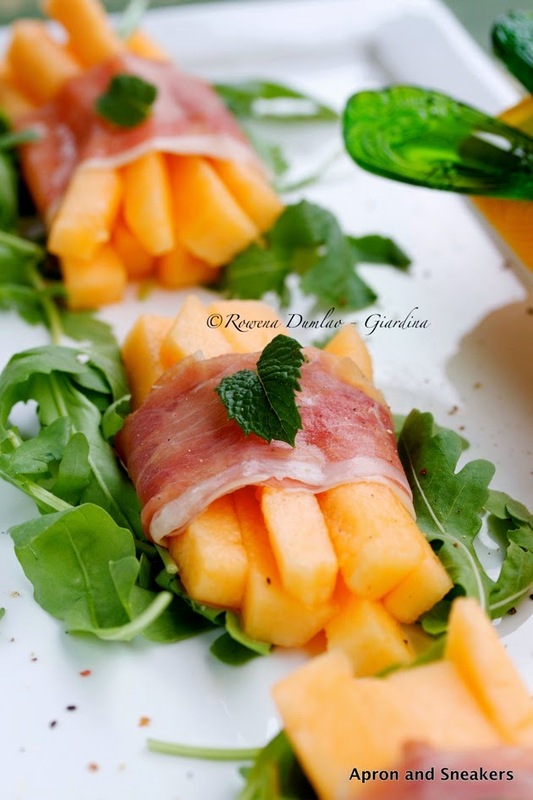 I had been pondering a lot on how I can serve melons with prosciutto differently for a long time already. I am sort of tired of seeing them in the conventional slice wrapped with prosciutto. Inspiration came across me and here is what I came up with. You don't really waste so much of the melons. I hate seeing the other half of the food in the trash just to attain a certain shape for beauty. What I took away from making these sticks ended up in the mouths of my children who enjoyed grabbing small odd-shaped bites from "Mom's-yes-you-can-eat-bowl". I was popping some in my mouth while I was preparing too. I hope you enjoy your week! See you again in the next post! Slice the melon to sticks. Wrap a group of them with a slice of prosciutto crudo. 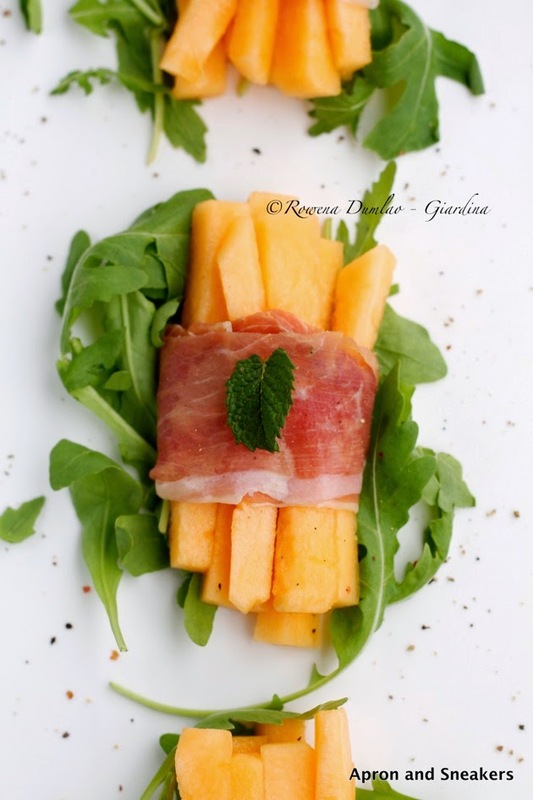 Serve them on a bed of rucola. 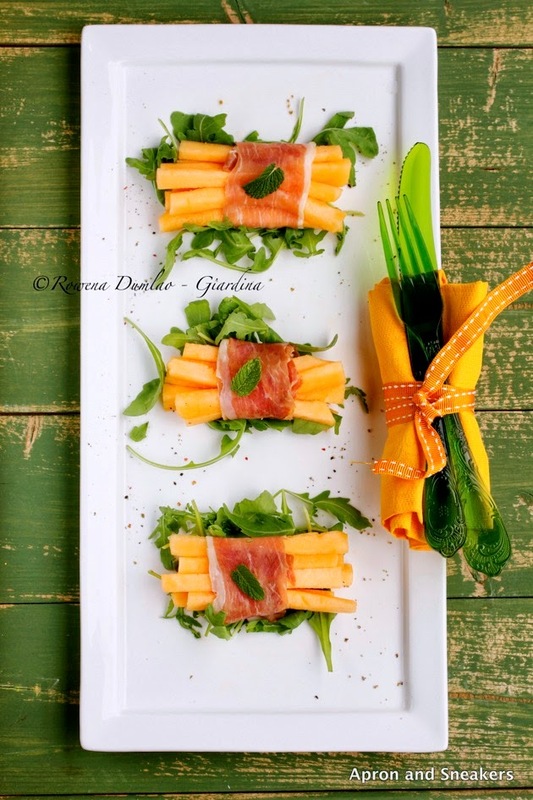 Garnish with a mint leaf on top.